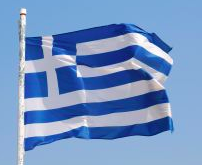 Greece makes the yachting buzz in April! The end of Charter Licences? Just before the beginning of the new charter season Greece has published a new Law 4256/2014 14 April 2014 dealing with “Touristic yachts and other provisions”. • Greek charter licence had to be issued for 5 years for commercial yachts to enable them to embark and disembark passengers in Greek waters. Contrary to Spain it was possible to undertake one of the two operations without a charter licence (embark or disembark passengers in Greece). In addition foreign EU entities had to open a branch office in Greece, apply for a local VAT number and pay VAT in Greece on charter fees. • Documentary evidence had to be kept showing that the yacht was engaged in chartering for at least 200 days (or 300 days where the yacht is below 20 meters) during the five-year period of the licence. • The issuance of a Greek charter licence was reserved only to EU yachts. Non-EU yachts were not allowed to charter. • No VAT was applied to EU foreign flag yachts starting their charter in Greece or partially chartering in Greece. • Yachts under Greek flag and EU yachts having obtained a charter licence had to pay VAT on charters starting in Greek waters. • Fuel in certain cases could be purchased without duty and local taxes. • End to the necessity to obtain a Greek charter licence to be able to embark and disembark passengers in Greek waters. • Abolition of the 10% Luxury Tax imposed on Pleasure Yachts. • EU commercial flagged yachts and non-EU commercial flagged yachts of over 35m can now charter from Greece (embark and disembark passengers) by appointing a fiscal representative and registering on the online « Registry of Touristic Yachts and Small Vessels » and submitting an application to the Ministry of Mercantile Marine and Aegean. • NON-EU flagged yachts will be allowed to charter in Greek waters only providing they are larger than 35m, built of metal or GRP and can carry over 12 passengers. • Minimum days of charter to do over a three years period. 105 days if yacht chartered without crew otherwise 75 days or 25 days for classic yachts and 5% to 20% reductions depending upon the age of the yacht. No minimum days requirement for VAT paid yachts. • EU yachts still need to obtain a DEPKA and non-EU yachts a Transit Log which are delivered for one year. • For commercial yachts a declaration must be obtained from the port of embarkation 48 hours prior to departure and the charter agreement submitted. • Private use by the UBO is allowed when the yacht is not engaged in third party charter. Modalities to be confirmed. • Possibility to charter with pleasure yachts if allowed by the flag of registration with extra security equipment and survey. Allowed for Greek pleasure yachts but no VAT exemption or Tax benefits. Modalities to be confirmed. • No changes on VAT and detaxed fuel for commercial yachts? To be confirmed. We will be keeping a keen eye on Greece to see how these new “lighter” and favourable rules will be implemented in practice. What is for sure is that this new regulation will put Greece back on the industry map given its extensive shoreline and the countless charter opportunities provided by its many islands! The GYA’s newly formed Greek association presided by Atalanta Golden Yachts’ Michael Skoulikidis and represented in the Med by Tony Vamvakidi, chairman of North Star Yachting will definitively be fighting for that goal. Janet Xanthopoulos and Simona Donzella from Monoeci Management SAM’s Yacht Division will be attending the Luxury Yacht Charter Show (http://www.mediterraneanyachtshow.gr/) organised by GYA which will take place from 3 to 7 May 2014 in the town of Nafplion, in Greece, to be right at heart of the news. They will also be attending the East Med Yacht Show (http://www.eastmedyachtshow.gr/) in the magnificient Greek island of Poros which takes place from 3 to 6 May.